All prayer cards are sold in packs of 10 cards. Please click on the image to read the prayer on back! 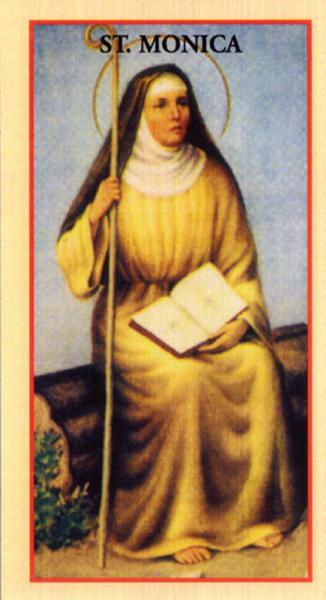 Please give to a friend, family member or leave one in a church or hospital or anywhere you feel inspired to promote devotion to St. Monica. All prayer cards are sold in packs of 10 cards. Please click on the image to read the prayer on back! Please give to a friend, family member or leave one in a church or hospital or anywhere you feel inspired to promote devotion to this Saint.